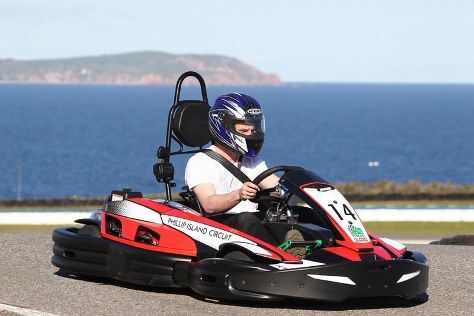 Museum-lovers will appreciate Phillip Island Grand Prix Circuit and National Vietnam Veterans Museum. Visiting Frankston Beach and Phillip Island Nature Parks - Koala Conservation Centre will get you outdoors. Get out of town with these interesting Cowes side-trips: Tyabb Packing House Antiques (in Tyabb) and Moonlit Sanctuary Wildlife Conservation Park (in Pearcedale). There's still lots to do: look for all kinds of wild species at Phillip Island Wildlife Park, admire nature's wide array of creatures at The Nobbies Centre, and head off the coast to Churchill Island. Make your Cowes itinerary with Inspirock to find out what to see and where to go. In December in Cowes, expect temperatures between 28°C during the day and 15°C at night. Finish your sightseeing early on the 3rd (Mon) so you can travel back home.